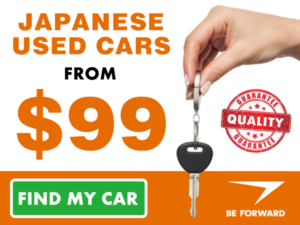 Car From Japan Review: Is This Used Car Site Any Good? Established decades ago, Car From Japan has been exporting used cars to many countries around the world. On their website, they say they want to “enrich lives” by enhancing trades between people and nations. They sell cars, trucks, buses, machinery, and parts. 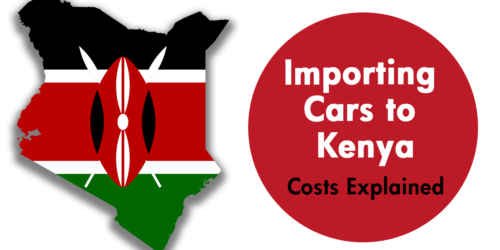 However, a sizable chunk of their business is built around exporting second-hand cars globally. Read this Car From Japan review to find out how they do that, and the kind of experience I had with them. Are they going to enrich your life as they promise? Conclusion: Should You Use Car From Japan? 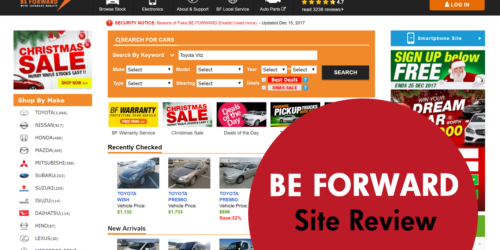 You will get a great front-page experience with Car From Japan. 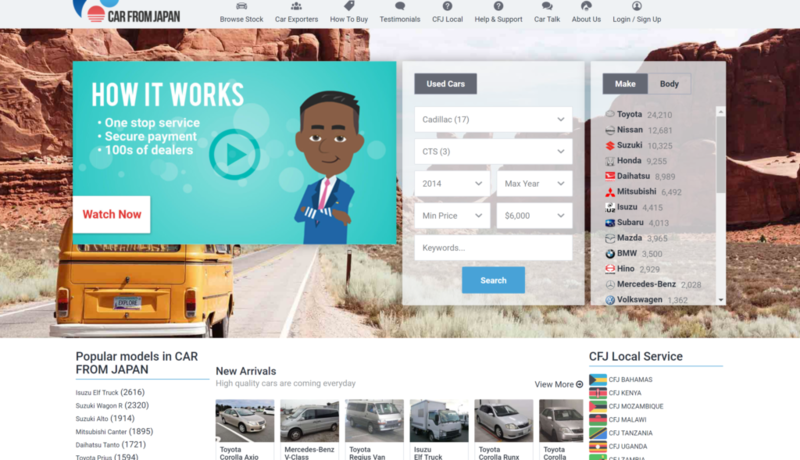 There is a video explaining the whole car buying process, and even without watching the video you will love the quick buying filters provided on the page. Using the filters, you can select from car makes, models, minimum and maximum years, minimum prices and maximum prices, and transmissions. You can also quickly check to see if it is available at the Car From Japan auction. The vehicle representation on the home page is not very appealing to the eye. There are more text links than image links, and that is not something that people looking to purchase a vehicle are the most interested in. However, there is a benefit to this — the site is quite easy to navigate, with little to no clutter to interfere with the experience. There are a few things a user might dislike about the Car From Japan homepage experience. The video pops up, obscuring everything else. That means you can only watch the video and then check out the site, or you are forced to stop the video in order to access it. Also, due to the lack of images, the homepage is missing some visual appeal. 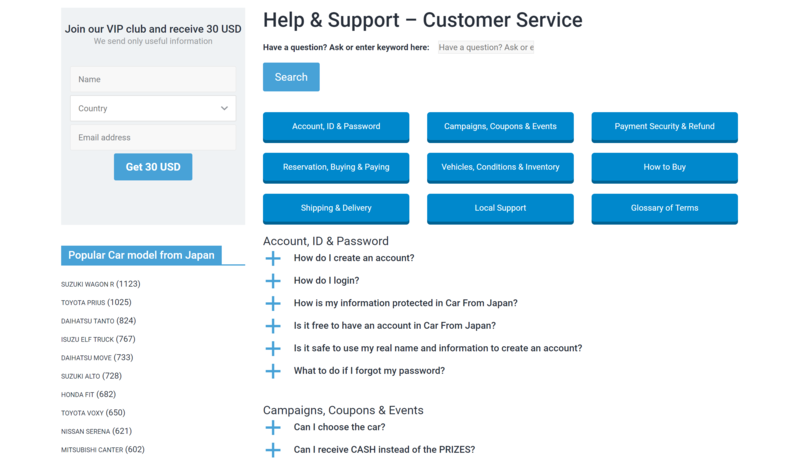 Buying a car from the Car From Japan auction is considered a very straightforward experience, which is perhaps why there is no live chat on the site. Their customer support page is designed in such a way that it is self-explanatory. You are required to enter a keyword or a question, and then choose a service related to it so that the system can fetch you the right information. The FAQ page is too simplistic. It does not answer the most basic questions that most first-time car importers would have, such as how long it takes one to get a car or cost explanations (CIF, clearance, etc). Instead, there is a lot of promotional information about coupons, events and campaigns. 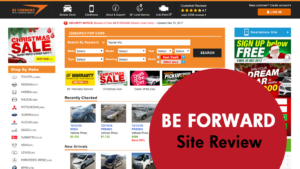 Car From Japan reviews show that communicating with them is not any different from most other sites that sell used cars. Contact information, including their physical address in Japan, is found under the “About Us” page. Users can follow their Google + page, Twitter and Facebook for more instantaneous communication. The introductory video on the homepage gives a good general overview of the Car From Japan experience. Additionally, the list of the local services, that is, countries where Car From Japan has offices, is useful as one can quickly find out whether they can visit to arrange everything in person. With more than 100,000 cars on sale at any given time, there is a wide variety for all types of users, irrespective of how diverse their car taste is. They even have some brands that are not so popular and more obscure, for example vehicles from unconventional maker Mitsuoka. Luxury brands are also available, and so are many variants of Japanese, European, Korean, Chinese, and American cars. The filters make the search process easier and do the job well, as expected, as these filters are a standard feature nowadays. You can filter cars by make, type (body type), model, minimum and maximum price, minimum and maximum year, and more. On the homepage, there is a list of the most popular vehicles as well as reviews of the Car From Japan site. The car browsing experience is quite easy. Just click on any of the thumbnail images on the homepage and you will be taken to the page for that vehicle. You will find many more images and a full description of the vehicle. Capacity, price, color, mileage and many more details are disclosed in the description. The details that you will find on the product pages are more than sufficient. By the time you are done viewing the vehicle you have in mind, you will feel you know it very well. The images are high quality, which gives you the chance to zoom in closely and inspect the vehicle before making any purchasing decisions. The purchase process is very easy to follow on Car From Japan. 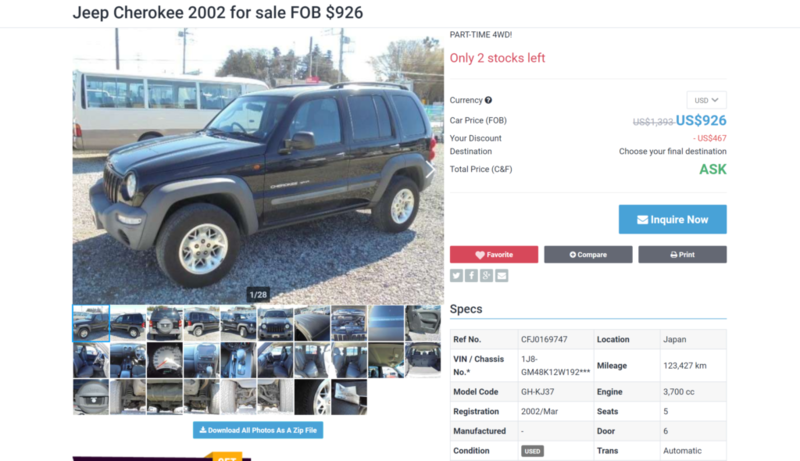 Once you have selected a vehicle to view, you are taken to its product page and as you scroll down the page, there is a section where you are prompted to select your country. 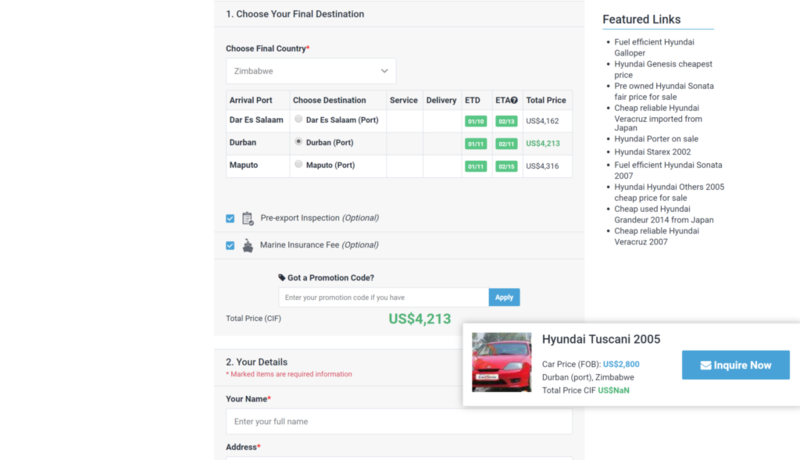 Once this is done, the immediate cost of the vehicle (up to your country or closest port) is calculated automatically. Everything is clear-cut, but it takes some getting used to. The site also stores the history of your recent views just in case you need to go back to some of the items that you previously selected. The shipping process is straightforward too. 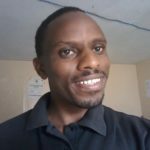 Once I had paid for everything, I was kept up to date every step of the way, from when the ship left the port of departure to when it arrived at my port of destination, where it arrived at the scheduled time. I was provided with tracking information for the ship, and so I followed its progress as it went to all indicated ports until it finally reached my local port. Their shipping schedule can also be found under “Customer Support”. The user experience is good, but not very straightforward. For example. I feel that shipping information is very important, yet instead of dedicating a tab for it, it is found under help and support, which can take some time to find. The regional offices are ideal for people who are not very tech-savvy. Almost every country they export vehicles to has an office, mostly at the port of entry for clearing and forwarding purposes. By the time of writing this Car From Japan review, this company did not offer much in after-sales support. Once you have received your car and taken ownership, that is pretty much all there is. After that, you are on your own. Car From Japan does not offer any kinds of warranties, and they expressly state so in their terms and conditions. In addition, they say that the sale contract is between you (the buyer) and the seller (in Japan) and that they only facilitate the deal. With a regional office, you can always call them later even after taking ownership of your car. 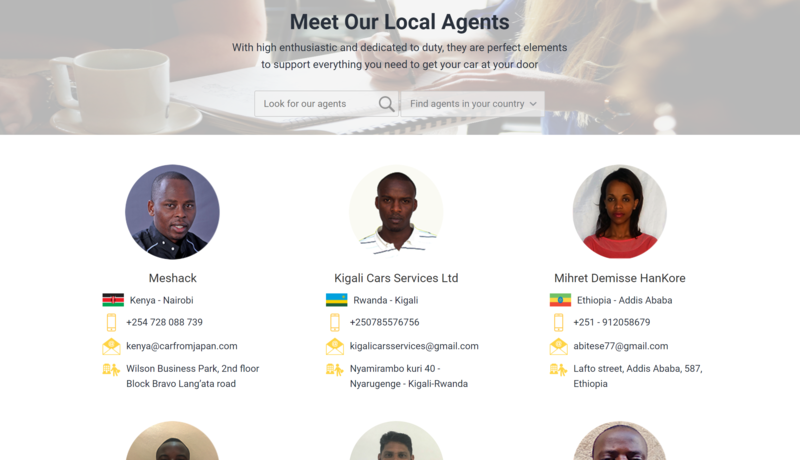 I do not know whether they will give you any technical support regarding the car, but I found the local office quite customer-friendly throughout the buying process. 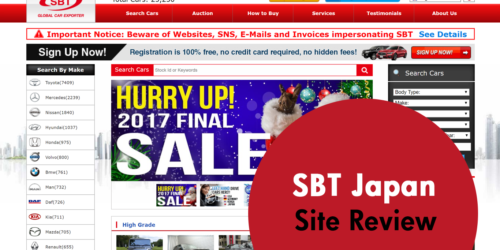 While the Car From Japan auction system is slightly different in comparison to other used car websites, the overall experience you will have with them is not very different. If you are looking to purchase a more obscure make or model, Car From Japan is a good option to explore. 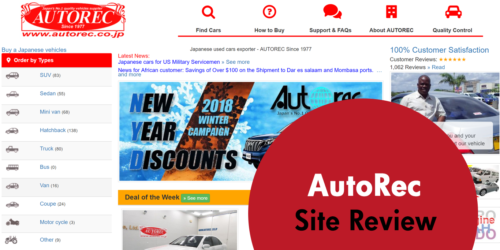 AutoRec Review: How Trustworthy is this Japanese Used Car Site? 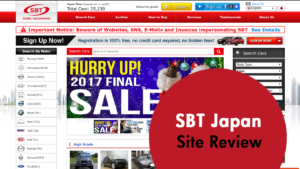 SBT Japan Review: Is It Easy to Buy a Car Through SBT Japan?